Having trouble getting children interested in the Bible? Then grab yourself a copy of a Boring Bible book and things will never be quite the same again. Each book retells 25 familiar (and some not-so familiar) Bible stories in a way that will engage the children's imagination. 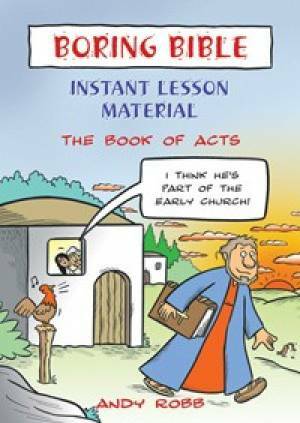 Book Of Acts by Andy Robb was published by Kevin Mayhew in July 2004 and is our 2237th best seller. The ISBN for Book Of Acts is 9781844172481.